When it was originally conceived, the tourbillon was a technical solution to a specific problem — the impact of gravity on the accuracy of a pocket watch’s movement. These days the whirling cage of finely finished metal represents something else. For brands, it’s a bravura statement of prowess. For watch lovers, it’s typically the crowning piece in a collection, the finest point in fine watchmaking. If we’re honest, the appeal of the tourbillon is only partially due to an appreciation of the watchmaker’s art. There’s also an element of conspicuous consumption to wearing a tourbillon. Dress it up however you like — wearing a watch with a dial-facing tourbillon is a pretty powerful statement. Dig a little deeper into the complication and you’ll discover that not all tourbillons are created equal. TAG Heuer’s vaunted $20k Heuer-02T is CNC printed, and many other brands rely on outsourced, third-party movements. 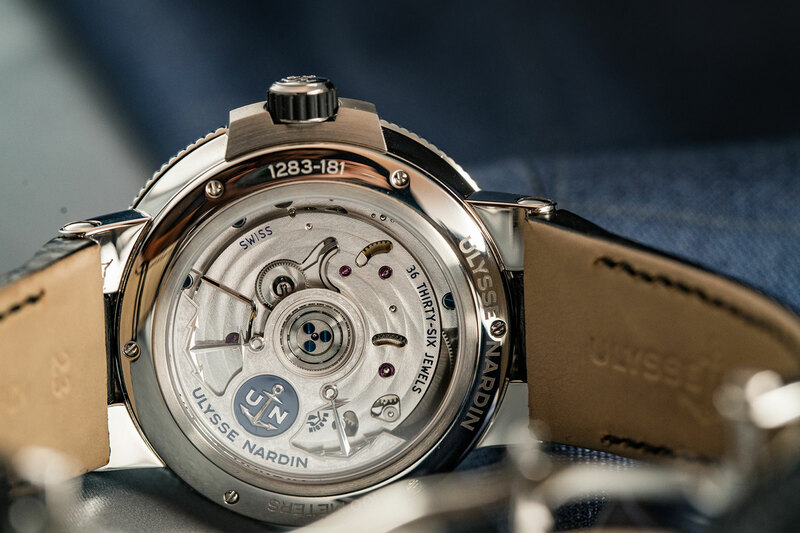 Ulysse Nardin’s Marine Tourbillon avoids these pitfalls and manages to offer one of the most compelling value propositions of 2017. Before we get to the movement, let’s talk about the watch as a whole. The 43mm steel case has modern touches, like the angular, integrated lugs, squared-off crown guard and rubber inset crown. 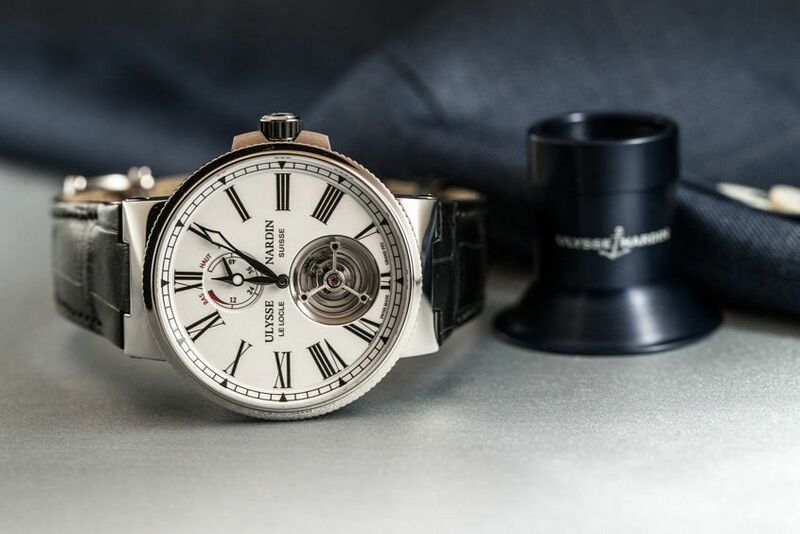 These elements balance out the very traditional aspects, like the deck watch style dial with large printed Roman numerals and railroad chapter ring. 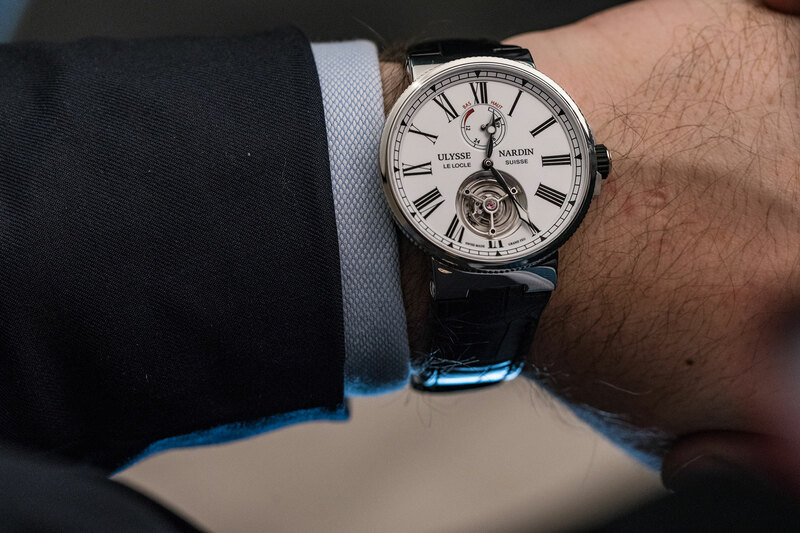 The tourbillon is neatly balanced by the power reserve indicator, and the whole ensemble looks stunning thanks to the Grand Feu dial, printed at UN’s own Donzé Cadrans enamel facility. I really love the dial on this watch. It adds a real old world elegance to the watch. The movement, however, is far from old-fashioned. The calibre UN-128 is completely new and made entirely by Ulysse Nardin, right down to the springs. 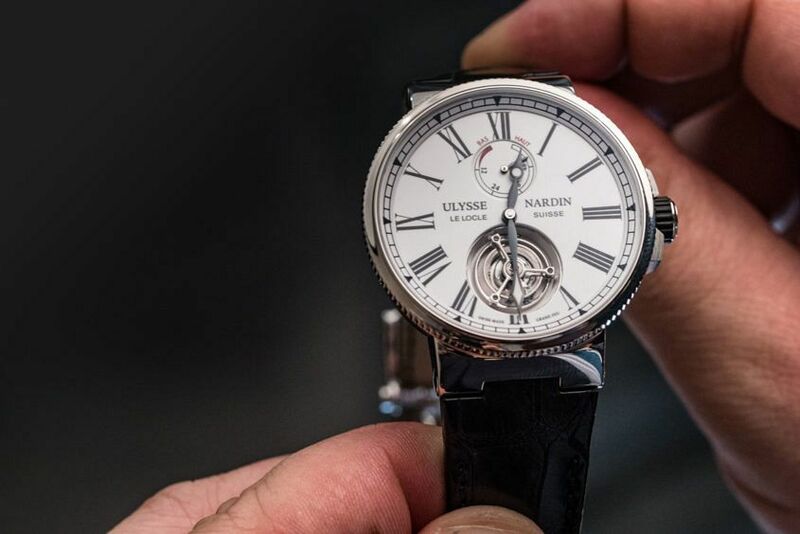 The flying tourbillon uses a silicium escapement and spring. It beats at 4Hz and has a respectable 60 hours of power reserve. The tourbillon is beautifully finished, with hand-finishing aplenty. And while the caseback is less spectacular than the front, the same level of care is evident. Beyond all this, the really outstanding feature of the Marine Tourbillon is the price. Coming in at a shade above $40k, I can’t think of any comparable products that offer quite the same combination of versatile design, high complication, refined dial and impressive in-house tech. 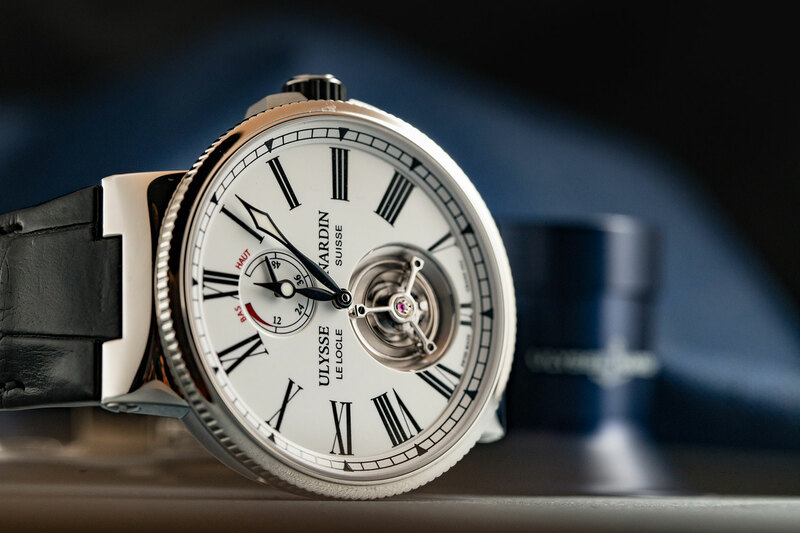 It’s a bold move for Ulysse Nardin, and, I suspect, a winning one.